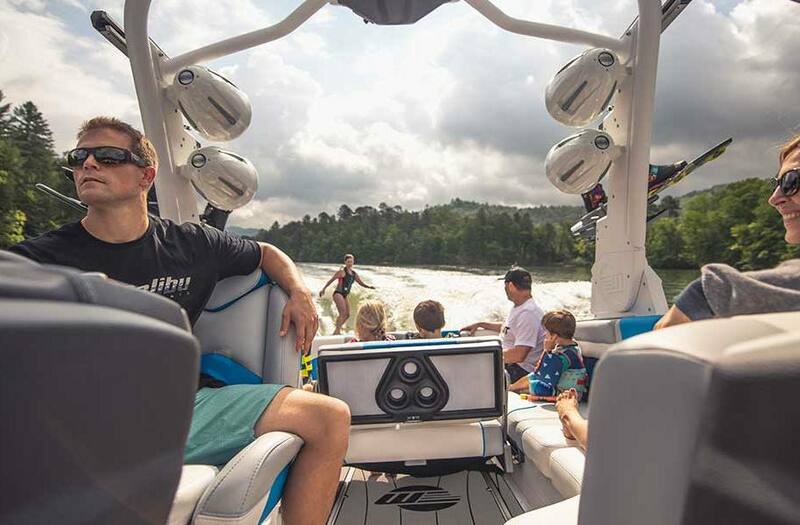 Wake Plus Hull: This hull was designed specifically for boarding applications and allows the boat to sit deeper in the water at slower speeds, which allows for more water displacement, creating a bigger wakes and surf waves at all boarding speeds. 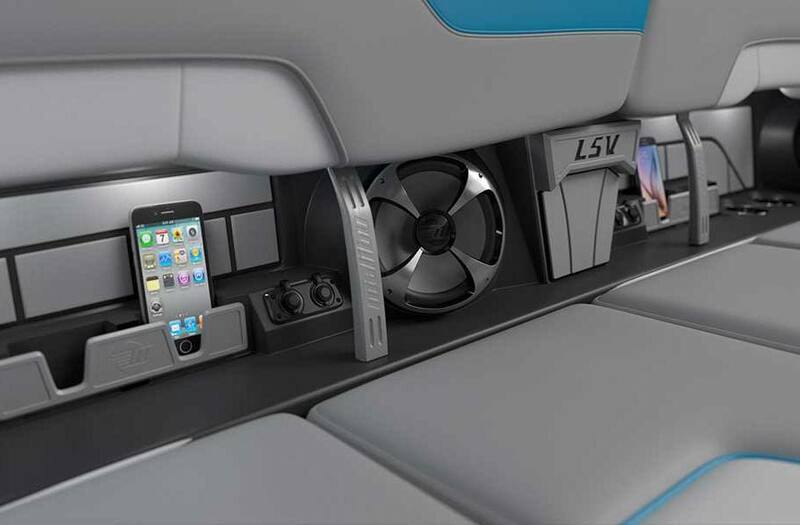 Malibu Command Center: The Command Center is the smartest combination of digital interfaces and traditional controls in the category. The bright, high-resolution 12-inch MaliView touchscreen gives you finger-tap control of the ballast, Power Wedge III and Surf Gate. New for 2019 is the ability to wirelessly charge your phone in a newly designed holder. 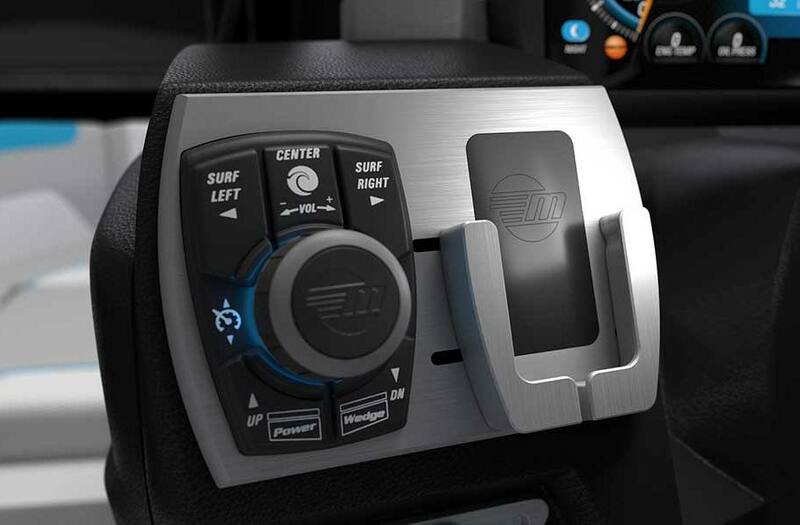 Multi-Control Steering Wheel: Malibu’s new steering wheel controls ISP, stereo volume, cruise control for the ultimate in convenience. 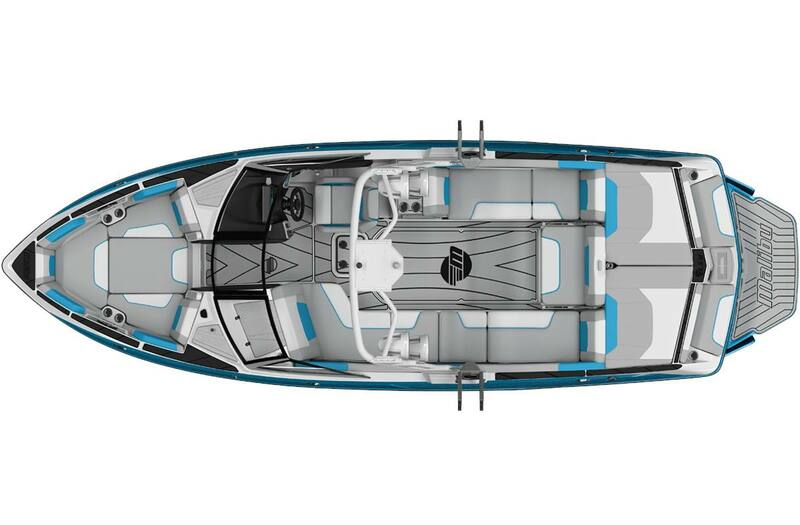 Engine Options - Monsoon 450 or 550: Moving a loaded boat at steady watersports speeds with the Power Wedge III Hydrofoil deployed takes a lot of torque. That’s why Malibu exclusively uses 6.2-liter Monsoon V8 engines for its entire line that can generate up to 550 foot pounds of torque for select models. New Malibu Multi View Bench Seat™: With 8 total positions, the New Malibu Multi View Bench Seat converts into a normal seat, a rear-facing seat and table. Wakeview Back-Up Camera: This high-definition rear-view camera is located on the transom, so you can always keep an eye on what’s happening behind the boat for increased safety. Footage is viewable live on the MaliView screen. Gx Tower: Built by Malibu, the all-new Malibu Gx tower introduces an industry standard for innovation and quality. Turn the dial to raise or lower the tower in 9 seconds, half the time it takes for the competition. 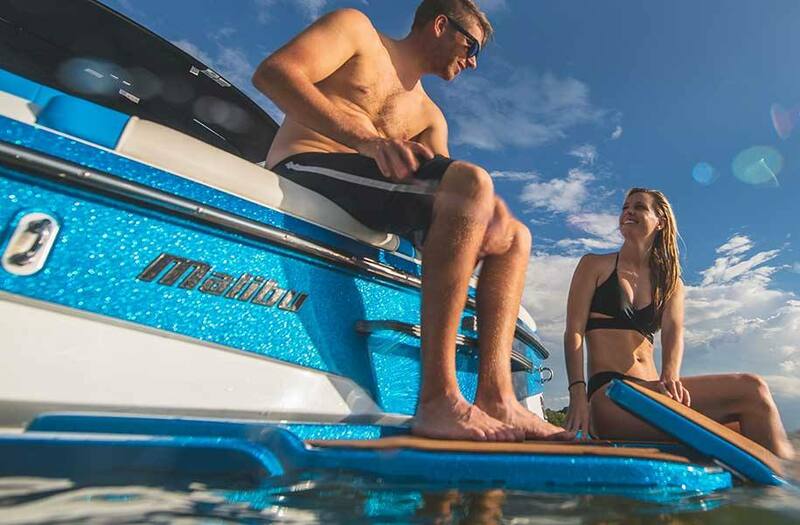 Integrated Surf Platform (ISP): Malibu’s exclusive ISP starts with Model-Specific Performance Hulls, Quad Hard Tank ballast, and Malibu's exclusive Power Wedge III and Surf Gate. Control it all with the touch of a finger using the Malibu Command Center and our exclusive Surf Band wrist remote.